The directors present their report, together with the financial statements, on the consolidated entity consisting of Lithium Power International Limited (ASX:LPI) (OTCMKTS:LTHHF) and the entities it controlled at the end of, or during, the half-year ended 31 December 2018. Lithium Power International Ltd (ASX:LPI) (OTCMKTS:LTHHF) provides the Company&apos;s latest presentation. 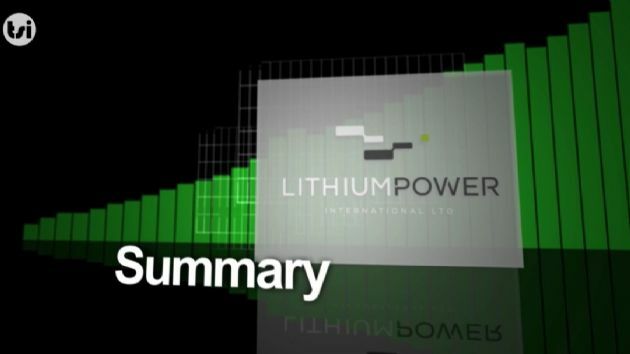 Lithium Power International Limited (ASX:LPI) (OTCMKTS:LTHHF) is pleased to provide shareholders with a video interview with Finance News Network by Chief Executive Officer, Cristóbal Garcia-Huidobro and Director - Corporate Finance, Richard Crookes. 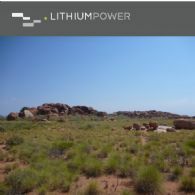 Lithium Power International Limited (ASX:LPI) (OTCMKTS:LTHHF) is pleased to submit its quarterly Activity Report for the period ended 31 December 2018. 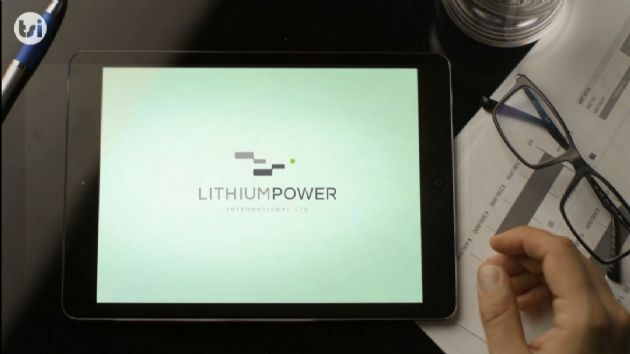 Lithium Power International Limited (ASX:LPI) (OTCMKTS:LTHHF) is pleased to invite investors and other interested parties to attend a conference call which will be hosted by LPI&apos;s CEO, Mr Cristóbal Garcia-Huidobro today, Wednesday 23 January 2019 at 12.00pm (noon) AEDT. 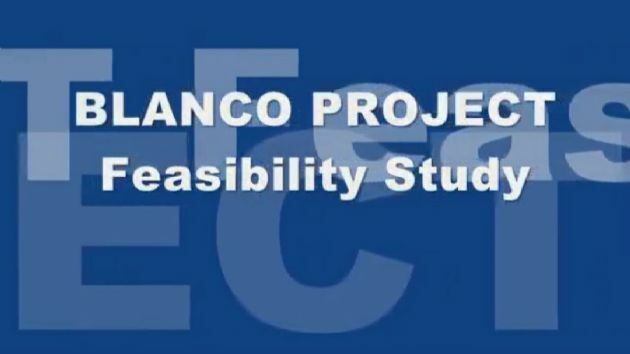 Lithium Power International Limited (ASX:LPI) (OTCMKTS:LTHHF) through its Joint Venture Company, Minera Salar Blanco S.A., is pleased to provide details of the Definitive Feasibility Study, now completed, for its Maricunga lithium brine project in northern Chile. Lithium Power International Limited (ASX:LPI) (OTCMKTS:LTHHF) through its Joint Venture Company, Minera Salar Blanco S.A., is pleased to provide details of the maiden Ore Reserve and Mineral Resource update for its Maricunga lithium brine project in northern Chile. Lithium Power International Limited (ASX:LPI) (OTCMKTS:LTHHF) confirms that the project Definitive Feasibility Study is in the final stages of completion awaiting the final independent written report from WorleyParsons. Lithium Power International Ltd (ASX:LPI) (OTCMKTS:LTHHF) provides the Company&apos;s Chairman Address to Shareholders. Lithium Power International Limited (ASX:LPI) (OTCMKTS:LTHHF) is pleased to submit its quarterly Activity Report for the period ended 30 September 2018. Lithium Power International Limited (ASX:LPI) (OTCMKTS:LTHHF) is pleased to announce the appointment of Mr Richard Crookes as a new Executive Director. Mr Crookes is highly qualified and has developed strong relationships with the institutional market around the world. Lithium Power International Limited (ASX:LPI) (OTCMKTS:LTHHF) is pleased to announce the appointment of a new CEO and Managing Director, Cristobal Garcia-Huidobro. Lithium Power International Limited (ASX:LPI) (OTCMKTS:LTHHF) is pleased to confirm it has finalised the acquisition of an additional 1% interest in the Maricunga Lithium Brine Project in Chile, bringing its interest to 51% as previously announced. The cost was ~AU$1.5 million, paid from current cash reserves. Lithium Power International Limited (ASX:LPI) (OTCMKTS:LTHHF) is pleased to submit its quarterly Activity Report for the period ended 30 June 2018. Lithium Power International Limited (ASX:LPI) (OTCMKTS:LTHHF) is pleased to advise that MSB, operator for the world-class Maricunga lithium project in Chile, agreed last week to cease legal proceedings, started early in 2018. 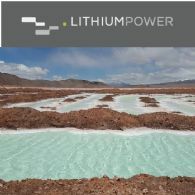 Lithium Power International Limited (ASX:LPI) (OTCMKTS:LTHHF) is pleased to provide this update on the sale of its interest in the Argentinian lithium project situated in the Centenario salar to Centenario Lithium Limited and the potential disposal of its Western Australian and Argentinian assets. Lithium Power International Limited (ASX:LPI) (OTCMKTS:LTHHF) has entered into a term sheet with its joint venture partner, Minera Salar Blanco SpA, to acquire a further 1.35% of the shares in the Maricunga Joint Venture Company, Minera Salar Blanco S.A..
Further to its previous announcements, on 8 March 2018 and 3 April 2018, Lithium Power International Limited (ASX:LPI) (OTCMKTS:LTHHF) provides this response to media reports on the licensing matter currently before the Chilean courts. 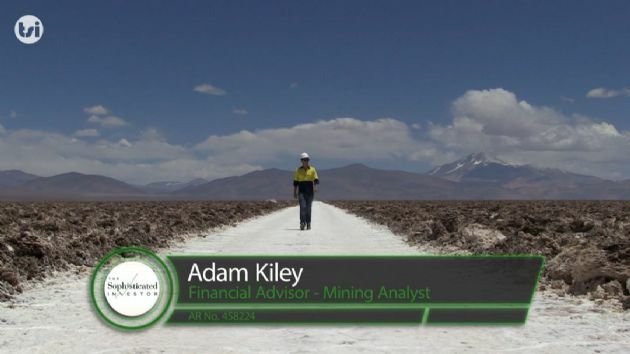 Lithium Power International Limited (ASX:LPI) (OTCMKTS:LTHHF) announces today that its Managing Director and CEO, Mr Martin Holland, is departing the business. Mr Holland has resigned his directorship of LPI effective today and will remain in the role of CEO until 30 June 2018. Lithium Power International Ltd (ASX:LPI) (OTCMKTS:LTHHF) provides Deutsche Bank Future Metals Day Presentation. 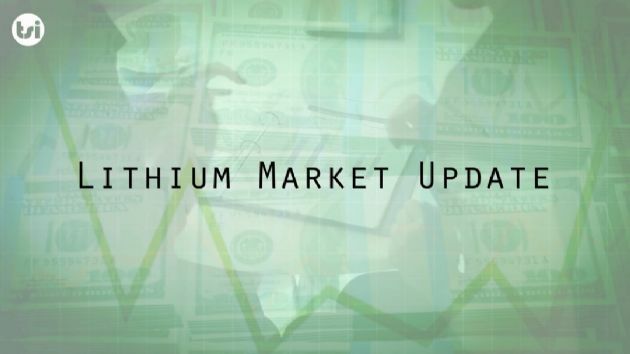 Lithium Power International Limited (ASX:LPI) provides an update on the status of the sale of its Argentinian lithium brine project situated in the Centenario Salar to Centenario Lithium Limited. Lithium Power International Limited (ASX:LPI) (OTCMKTS:LTHHF) provides an update on the status of the sale of its interest in its Argentinian lithium project situated in the Centenario salar to Centenario Lithium Limited. Lithium Power International Limited (ASX:LPI) (OTCMKTS:LTHHF) is pleased to submit its quarterly Activity Report for the period ended 31 March 2018. Lithium Power International Limited (ASX:LPI) (OTCMKTS:LTHHF) is pleased to advise the globally recognised chemical company Veolia Water Technologies has produced lithium carbonate samples of 99.9% purity from concentrated brine produced from the Salar de Maricunga. Lithium Power International Limited (ASX:LPI) provides this announcement in response to information contained in a "Mergermarket" article dated 12 April 2018. The article quotes LPI CEO Martin Holland regarding the potential divestment of LPI&apos;s Western Australian exploration assets and certain other potential transactions. Lithium Power International Limited (ASX:LPI) (OTCMKTS:LTHHF) is pleased to advise that the globally recognised chemical company Veolia Water Technologies has produced lithium carbonate samples of 99.9% purity from concentrated brine produced from the Salar de Maricunga. Lithium Power International Limited (ASX:LPI) (OTCMKTS:LTHHF) is pleased to advise that it&apos;s 50% owned Chilean joint venture company Minera Salar Blanco has been awarded a key regulatory export licence by the Chilean Nuclear Energy Commission to produce, market and export lithium products from Chile that are extracted from the Maricunga salar. The directors present their report, together with the financial statements, on the consolidated entity consisting of Lithium Power International Limited (ASX:LPI) (OTCMKTS:LTHHF) and the entities it controlled at the end of, or during, the period ended 31 December 2017. 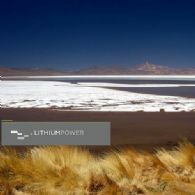 Lithium Power International Limited (ASX:LPI) (OTCMKTS:LTHHF) provides clarification from the Maricunga JV Company, Minera Salar Blanco, on a recent press release featured this week in the Chilean media, along with statements made by the outgoing Chilean Mining Minister at the Prospectors & Developers Association of Canada convention in Toronto earlier this week. Lithium Power International Limited (ASX:LPI) (OTCMKTS:LTHHF) is pleased to release an animated video detailing the Maricunga project engineering and design, produced by WorleyParsons. Lithium Power International Ltd (ASX:LPI) (OTCMKTS:LTHHF) provides the Company&apos;s Investor Presentation February 2018. 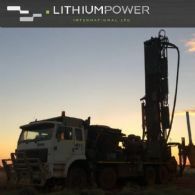 Lithium Power International Limited (ASX:LPI) (OTCMKTS:LTHHF) advised today that it would lift its shareholding in the high grade, low cost Maricunga Lithium Brine Project by up to six months ahead of the agreed joint venture schedule. 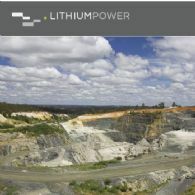 Lithium Power International Limited (ASX:LPI) (OTCMKTS:LTHHF) is pleased to advise that the first lithium carbonate sample has been produced from Maricunga brine for the Maricunga Joint Venture company using the optimised process being developed by experienced process company GEA of Germany. Chilean Lithium prospects have been relatively overshadowed in recent years by the rising Argentine Lithium scene. This has been because the Chilean scene was perceived to be locked up between the majors of the now moribund "cartel" and because there were a plethora of undeveloped salares on the Argentine side of the Andes. 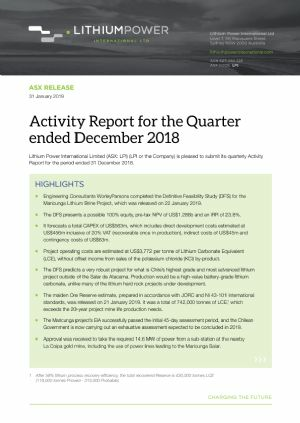 Lithium Power International Limited (ASX:LPI) (OTCMKTS:LTHHF) is pleased to submit this Quarterly Activity Report for the period ended 31 December 2017. 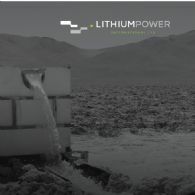 Lithium Power International Limited (ASX:LPI), in order to comply with Australian Security Exchange&apos;s ("ASX") compliance and regulatory requirements, is pleased to provide an Amended Preliminary Economic Assessment (PEA) for its Maricunga lithium brine project in northern Chile by the Maricunga joint venture company, Minera Salar Blanco (MSB). 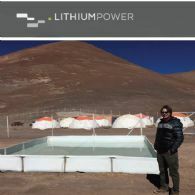 Lithium Power (ASX:LPI) (OTCMKTS:LTHHF) virtual site trip to the Maricunga Lithium Brine Project in Chile. Site trip includes a review of the region & surrounding infrastructure, current status of the project as well as review the planned operation. 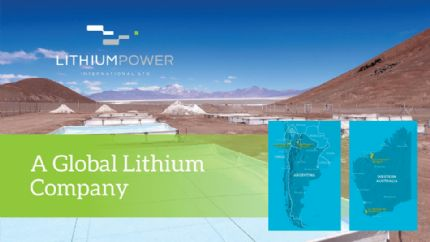 Lithium Power (ASX:LPI) (OTCMKTS:LTHHF) has released a positive preliminary economic assessment study for its Maricunga lithium brine project in Chile. Highlights of that study include the following. Lithium Power International Limited (ASX:LPI) (OTCMKTS:LTHHF) shares with you the results of the recent presidential election in Chile. Mr. Sebastian Piñera, the centre-right wing candidate, defeated Alejandro Guillier, the centre-left opponent, by a wide margin of 54.6% to the centre right and 45.4% to the centre left. Piñera will be sworn into office in March 2018, for a four-year term. 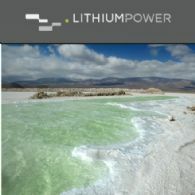 Lithium Power International Limited (ASX:LPI) (OTCMKTS:LTHHF) is pleased to provide details of the Preliminary Economic Assessment (PEA) for its Maricunga lithium brine project in northern Chile by the Maricunga joint venture company, Minera Salar Blanco. 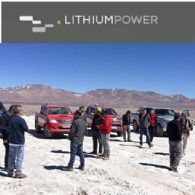 Lithium Power International Limited (ASX:LPI) (OTCMKTS:LTHHF) is pleased to provide an update on the sale of its interest in its Argentine lithium project situated in the Centenario salar. Lithium Power International Ltd (ASX:LPI) (OTCMKTS:LTHHF) provides the Company&apos;s Investor Presentation - London. Lithium Power International Limited (ASX:LPI) (OTCMKTS:LTHHF) is pleased to announce the completion of a heavily oversubscribed placement of new fully paid ordinary shares to institutional, existing and new sophisticated investors. The Placement is fully underwritten by Canaccord Genuity (Australia) Limited. Lithium Power International Limited (ASX:LPI) (OTCMKTS:LTHHF) notes overnight Chilean media speculation and confirms that Minera Salar Blanco SA, the entity which holds the Maricunga lithium brine project and in which LPI is a 50% shareholder, has entered into discussions with major Chinese company, Fulin Group. Lithium Power International Limited (ASX:LPI) (OTCMKTS:LTHHF) is pleased to advise that Sprott Capital Partners has recently completed a research report on LPI. Lithium Power International Limited (ASX:LPI) (OTCMKTS:LTHHF) reminds its security holders, that further to its announcement on 26 October 2017, the listed options trading under the code LPIO will expire, unless exercised before, on 24 November 2017. Lithium Power International Ltd (ASX:LPI) (OTCMKTS:LTHHF) provides the Company&apos;s latest Investor Presentation. 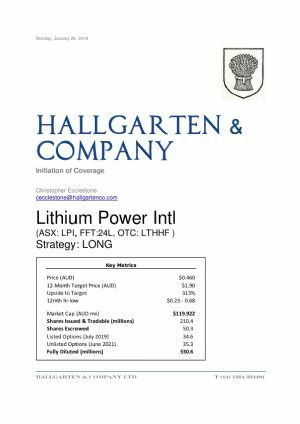 Lithium Power International Limited (ASX:LPI) (OTCMKTS:LTHHF) is pleased to advise that Hallgarten & Company, out of London, has recently completed a research report on LPI. 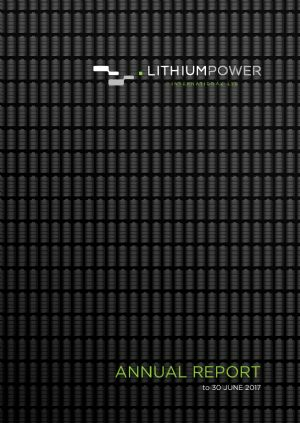 Lithium Power International Limited (ASX:LPI) (OTCMKTS:LTHHF) is pleased to submit this Quarterly Activity Report for the period ended 30 September 2017. Lithium Power International Limited (ASX:LPI) (OTCMKTS:LTHHF) advises that the 37,526,323 listed options trading under the code LPIO will expire, unless exercised before, on 24 November 2017. Following recent reporting in the Chilean news media Lithium Power International Limited (ASX:LPI) (OTCMKTS:LTHHF) wishes to provide clarification regarding the implications of negotiations between CORFO and Albemarle, regarding expanded production from their Atacama salar lithium brine operation. Lithium Power International Ltd (ASX:LPI) (OTCMKTS:LTHHF) announces the notice of Annual General Meeting. Lithium Power International Ltd (ASX:LPI) (OTCMKTS:LTHHF) provides the Company&apos;s Annual Report to shareholders. 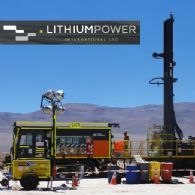 Lithium Power International Limited (ASX:LPI) (OTCMKTS:LTHHF) is pleased to provide an update on the pilot plant process test work being carried out on lithium brine from the Maricunga project located in northern Chile. 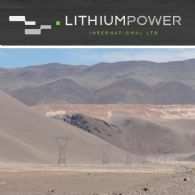 Lithium Power International Limited (ASX:LPI) (OTCMKTS:LTHHF) is pleased to provide an update on the planned sale of its Argentine lithium project situated in the Centenario salar. Lithium Power International Ltd (ASX:LPI) (OTCMKTS:LTHHF) is pleased to release, on the Company&apos;s website, the NI 43-101 Technical Report Lithium and Potassium Resource Estimate prepared for the Maricunga Joint Venture lithium brine project in Chile. Lithium Power International Limited (ASX:LPI) (OTCMKTS:LTHHF) wishes to provide an update on the tender process being conducted by Codelco for properties it holds in the south of the Maricunga salar, in northern Chile. Lithium Power International Ltd (ASX:LPI) (OTCMKTS:LTHHF) is pleased to advise that Independent Investment Research has recently completed an update to its previously released research report on LPI. 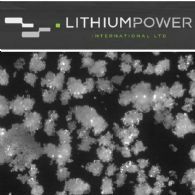 Lithium Power International Limited (ASX:LPI) (OTCMKTS:LTHHF) is pleased to release its Appendix 5B quarterly cashflow report for the quarter ended 30 June 2017. Lithium Power International Ltd (ASX:LPI) (OTCMKTS:LTHHF) is pleased to submit it&apos;s quarterly Activity Report for the period ended 30 June 2017. Lithium Power International (ASX:LPI) has announced a resource upgrade at their Maricunga lithium brine project in Chile. Lithium Power International Limited (ASX:LPI) (OTCMKTS:LTHHF) is pleased to invite investors and other interested parties to a conference call, to be hosted by the Company&apos;s CEO, Martin Holland to be held today, Wednesday 12 July 2017 at 12.00pm (noon) AEST. Lithium Power International Limited (ASX:LPI) (OTCMKTS:LTHHF) is pleased to provide details of the updated resource estimate from drilling at the Maricunga lithium brine project in northern Chile by the Maricunga Joint Venture. Lithium Power International Limited (ASX:LPI) (OTCMKTS:LTHHF) is pleased to advise that following the recent A$12M capital raise at 38c per share the Company has paid a further US$5.5M into the Maricunga JV to fast track developments on the Maricunga lithium brine project in Chile. Lithium Power International Limited (ASX:LPI) (OTCMKTS:LTHHF) is pleased to advise an update on the ongoing process testing at the Maricunga lithium brine project located in Chile. 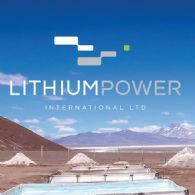 Lithium Power International Limited (ASX:LPI) (OTCMKTS:LTHHF) encloses a prospectus lodged by the Company with the Australian Securities and Investments Commission on 18 May 2017 in connection with an offer of options. 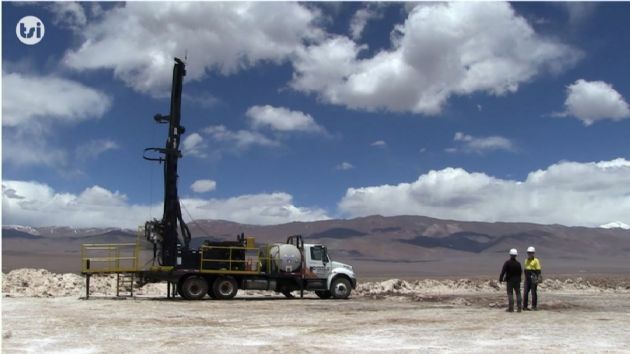 Lithium Power International Ltd (ASX:LPI) (OTCMKTS:LTHHF) is pleased to advise the results of a pump test completed on well P2 at the Maricunga lithium brine project in northern Chile. Lithium Power International Ltd (ASX:LPI) (OTCMKTS:LTHHF) is pleased to advise the initial Pilgangoora drilling program commenced on 11 May 2017, with up to 3,000m of reverse circulation (RC) drilling planned to test the new targets generated by company geophysical and geochemical surveys. Lithium Power International (ASX:LPI) (OTCMKTS:LTHHF) are developing the Maricunga lithium brine project in Chile. Maricunga is one of the highest grade lithium brine projects globally (1,250mg/l), has the highest publicly released flow rate for a lithium project in South America (25L to 38L / sec) and is supported by significant existing infrastructure (roads, power & work force). Lithium Power International Limited (ASX:LPI) (OTCMKTS:LTHHF) is pleased to announce the release of a research report by The Sophisticated Investor ("TSI"). Lithium Power International Ltd (ASX:LPI) (OTCMKTS:LTHHF) is fasttracking development of its Maricunga lithium brine project in northern Chile after completing its third capital raising inside the past 10 months. Lithium Power International Ltd (ASX:LPI) (OTCMKTS:LTHHF) is pleased to provide an update on activities at the Maricunga lithium brine project in northern Chile. Lithium Power International Limited (ASX:LPI) (OTCMKTS:LTHHF) ("LPI" or "the Company") is pleased to submit its quarterly Activity Report for the period ended 31 March 2017. Lithium Power International Limited (ASX:LPI) (FRA:24L) (OTCMKTS:LTHHF) is pleased to provide shareholders with the below update following Chief Executive Officer Martin Holland&apos;s interview with Finance New Network. Lithium Power International Ltd (ASX:LPI) (OTCMKTS:LTHHF) is pleased to provide an update of the developments of the Maricunga Lithium Brine Joint Venture Project in Chile. The Company also announces a successful institutional placement of approximately 31.58 million fully paid ordinary shares at an issue price of $0.38 to raise approximately $12 million. Lithium Power International Limited (ASX:LPI) is pleased to advise completion of the pumping test at well P4 at the Maricunga lithium brine project in northern Chile. LPI is very encouraged by the high average brine flow rate, and lithium and potassium grades, which compare very favourably to other lithium brine projects currently in production and in development within South America. Lithium Power International Ltd (ASX:LPI) are pleased to announce latest deep drilling confirms new high grade lithium brine discovery to 354m at the Maricunga Lithium Brine Project. Lithium Power International (ASX:LPI) is an ASX listed company who is currently developing the Maricunga lithium brine project in Chile. Maricunga is one of the highest grade lithium brine projects globally (1,250mg/l), and is surrounded by significant existing infrastructure (roads, power & work force).